Dr. Deah's Calmanac is a 12-month interactive guide designed to transform negative body image and disordered eating patterns into a body positive health at every size(r) approach to wellness. The Calmanac is a program that may be started any month of the year and provides the reader with hands on techniques for replacing anxieties associated with body hate with calming size acceptance. Laurel Bookstore- 4100 MacArthur Blvd. *A reading and signing event is happening on April 9th at 7:00 p.m. 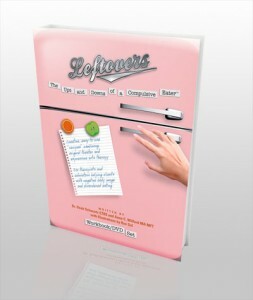 The LEFTOVERS Workbook/DVD set is for therapists, facilitators and healthcare professionals treating patients for compulsive eating, eating disorders, and body dissatisfaction. Keep your patients engaged with this unique multi-media, multi-modality approach. Each session incorporates a scene from "LEFTOVERS: The Ups and Downs of a Compulsive Eater," paired with a set of exercises designed to encourage insight and healing. Visit my shop to purchase these items. Therapists and facilitators treating patients with eating disorders. Hospitals and clinics with programs on women's health and addiction. Educators training therapists and other healthcare professionals. Anyone looking for effective content to stimulate discussion on food addiction, body image, and eating disorders. How will I use the LEFTOVERS materials? 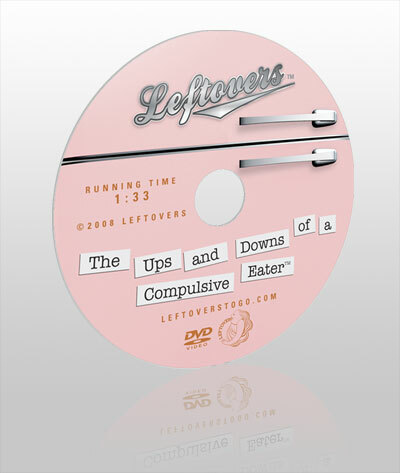 A DVD of "LEFTOVERS: The Ups and Downs of a Compulsive Eater." A complete facilitator binder, including a step-by-step outline and list of materials for each session, copies of all worksheets and homework assignments, tips for facilitators and helpful information on using expressive arts techniques and group process. Five sets of participant materials, including worksheets for in-session and homework exercises. Participant binders to store completed worksheets and other notes. Additional sets of participant materials are also available and can be ordered separately in groups of five. Visit my shop to purchase this item. The LEFTOVERS Workbook/DVD set was developed by Education Through Therapeutic Arts (ETTA) founders Deah Schwartz Ed.D., CTRS, and Anne Wilford, M.A. MFT—each with 20+ years experience in therapy, education, and improvisational theatre. They developed this curriculum to help educators, therapists and facilitators break through old barriers with new, creative approaches—in a simple, easy-to-run format that will keep both you and your patients engaged. Please note that this is NOT a weight loss program, and should not be presented as such.